I've got a tallboy of Bud in my right hand, and my left is looped around the back of a bucking Honda 300 All-Terrain Vehicle (ATV). Up the embankment, less than 30 feet away, interstate traffic roars by. The ATV sends up the heady smell of burned gasoline, and with a whooping cry, I head out on my first "mudding" run. "This is really a unique thing about Memphis," says Cran Boyce, an ATV enthusiast and my guide for the day, "having a major off-road area hidden right in the middle of a city." We're snaking through the middle of the 240-Loop, right off Covington Pike. Along the Wolf River's muddy bottoms and outlying forests, generations of riders have carved out a vast network of trails on dirt bikes, ATVs, and the occasional mountain bike. 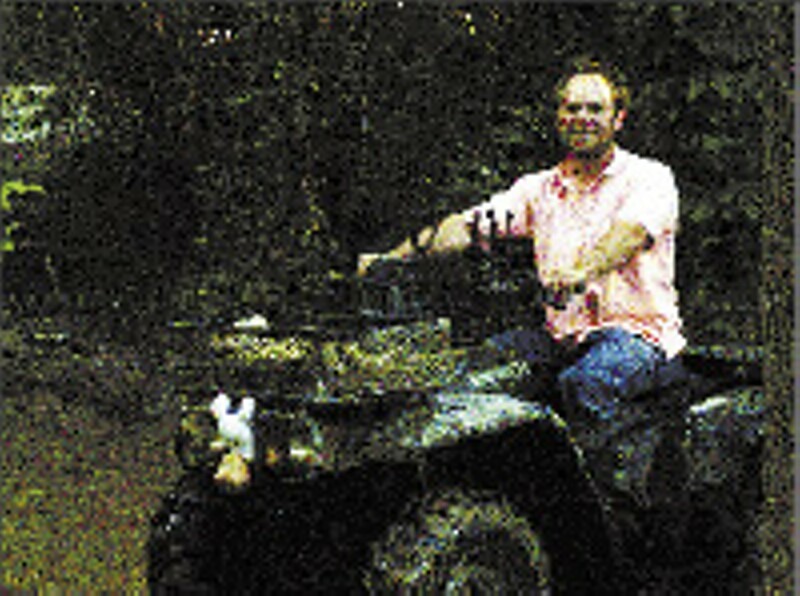 The recent death of a young rider on May 7th, identified by police as Timothy Medlin, 22, of Hernando, Mississippi, drew media attention to the activity along the bottoms, but riders like Boyce have been enjoying the trails for decades. "My dad rode out here in the '60s. He took me here when I was a kid, and, in high school, I would come out all the time with my friends," he says. Despite his history here, Boyce admits he still occasionally gets lost in the vast network of trails whose only rhyme and reason are the riders who have come before. The dirt trail leads down from the interstate and loops back under an overpass, below which tents and shacks hide. "There are some bad folks down here," says Boyce. Car thieves will sometimes bring stolen vehicles, he explains, strip the car, and set the remains on fire. "When I got stuck one night last winter, I stayed out all night with my ride, because if I had left it, sure enough it would have been wrecked by morning." As quickly as the trail turns from dirt to woods to dunes, it changes again, and we ride into a swampy forest, startling large gray rabbits. Here the riding gets much rougher, and we sometimes sink to the top of our tires in the soft mud. I'm surprised at what a joy the ATV is to ride, even sitting shotgun with two tires choked in mud. We tour for an hour and never travel the same trails twice. Boyce doesn't use any safety equipment and seems dismissive of the idea, suggesting it might make sense for more extreme types of riding, as opposed to just running trails. As we're heading back, we emerge onto a flat hillock and Boyce stops. "That right there is the 100-yard dash," he says, pointing in front of us. "Dude, that looks like a lake," I say, eyeing a swampy pit of unknown depth. Boyce just laughs. "If you make it through that," he says, "you can probably ride a badder place than this." I ask him where that would be. "Man," he says, " I have no idea."